The Indian Ocean covers an area of 73,556,000 square kilometers, and is the third largest ocean in the world. It is rimmed by three continents, Africa, Asia and Australia, thereby connecting the Pacific and Atlantic Oceans, where the global economic and political powerhouses lie. This renders it a highly significant geostrategic location. The Indian Ocean is also significant for its bounty of natural resources. It is home to 65 % of the world’s oil, 35 % of its natural gas, as well as sources of numerous other manufactured goods and raw materials located in the littoral states. 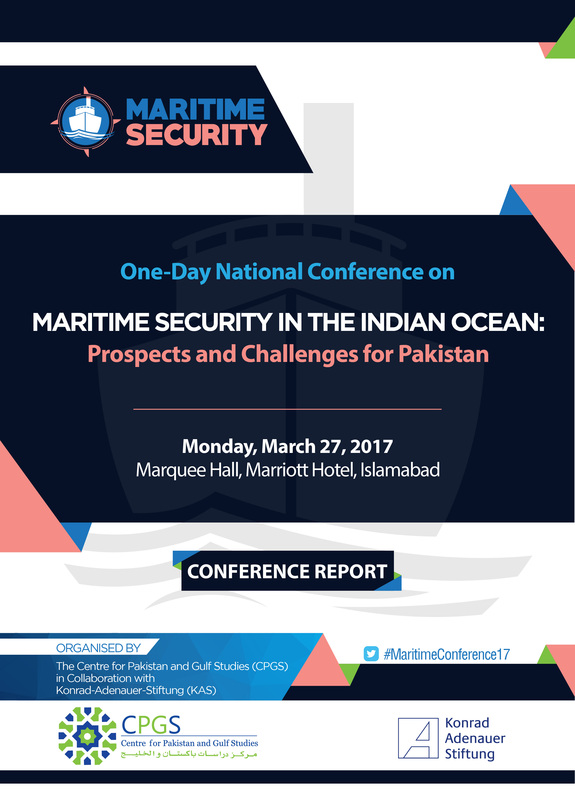 A number of important trade routes and choke points across its waters add to its significance in terms of global security and economy. Within the Indian Ocean, the Arabian Sea has a central position, straddling the routes for all important energy supplies. It also provides access to the Suez Canal and the Strait of Hormuz to the West, and the approach to the Bay of Bengal and Malacca Strait to the east. In addition to the teeming energy supplies, global trade of other commodities and raw materials also passes through the Arabian Sea. Moreover, it provides the shortest access to the sea for landlocked Afghanistan, the Central Asian Republics, and China’s western regions. Its importance has increased manifold with the launch of the CPEC project to facilitate Chinese exports and energy imports through Pakistani ports, especially that of Gwadar.